When politics and police are mixed up in a battle for verisimilitude in the mass media, the best orchestrated operation may succeed. Nisman´s case generates paramount consequences in politics and the electoral campaign. 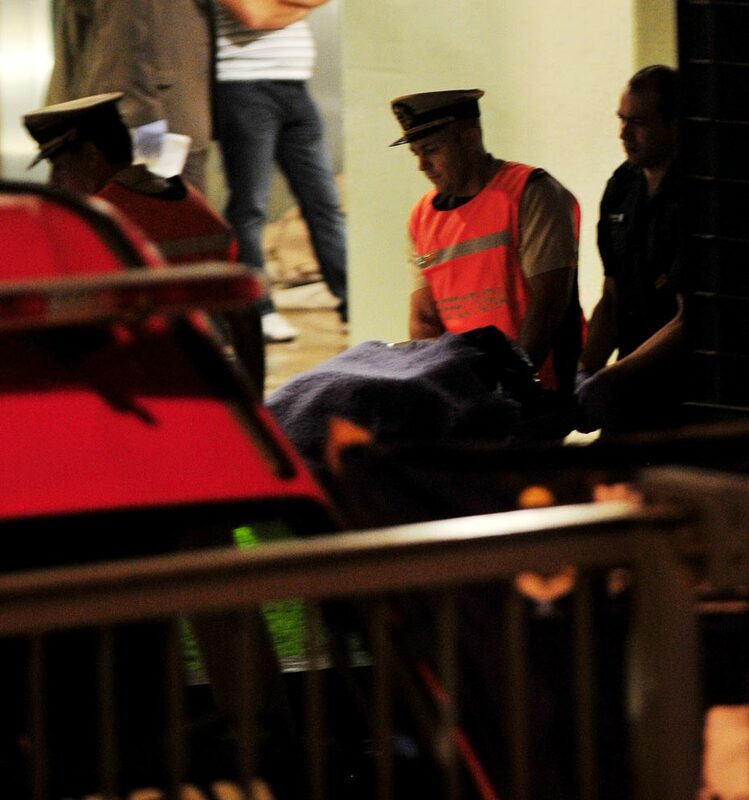 The prosecutor´s death brings into light an influential actor since the return of democracy: the intelligence services. Their close relationship with the Federal Justice has been unveiled. This research of Anfibia Magazine is about an entangled and dark plot around a lonely man. The most modern and comfortable room in Comodoro Py is called the AMIA Room. The trial for the attack that rendered 85 deaths was expected to last 6 months at the most. It ended after 3 years, in 2004. Located in the underground, without mobile signal, provided with air conditioning, microphones and glasses detaching the assistants from the judges, this is the room with the largest capacity to house people. At every hearing, one of the plaintiffs was sitting by the attorney Alberto Nisman, in front of the witnesses and at the defendants´ side. Every morning, before starting up, the prosecutor proudly showed a folder filled with newspaper scraps of the articles published about the trial: a clipping. The lawyer impressed for the attention this man paid to the process repercussion. When he had to speak before the judges, Nisman was verbose and hasty. —Slow down, Alberto, even I having read the whole case cannot understand you— the lawyer used to say. At the first hearings, Nisman was seated next to the other prosecutors: Eamon Mullen and José Barbaccia. The three of them had signed, at the first instance, the mandate for trial which stated that the Bonaerense (Police of the Police of Buenos Aires) extorted Carlos Telledín to sell the Traffic Van to the terrorists. They moved together as a unit. When false testimonies, arbitrary accusations became evident, Nisman began to distance himself from the other prosecutors. The only remaining thing of that team´s alliance was the notices signed jointly. On April 13th, 2003 Judges Gerardo Larrambebere, Miguel Pons and Guillemo Gordo ordered Barbaccia and Mullen to be dismissed from the case. They said they knew and anyway hid the fact that Telleldín, accused as “necessary accomplice”, received 400 thousand dollars in 1996 to testify against the policemen of the Bonaerense. Barbaccia was absent. Mullen stood up in silence. Nisman remained seated. Those supporting Nisman remember that the day Telleldín signed the false statement the prosecutor was not part of the team investigating the attack to the AMIA. Those who question him accept that for a fact, but they remember that the prosecutor started working with Mullen and Barbaccia in June, 1997: that is to say, he took part in the proceedings and submissions that carried up to the abrupt end. 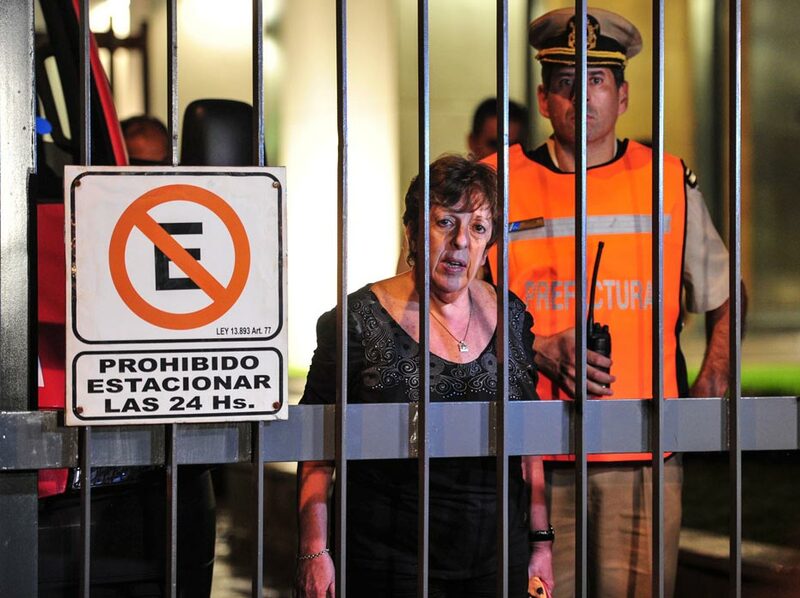 Nisman entered Comodoro Py marred by that historical scene in which his peers were sent to the juridical scaffold. Some wonder why Nisman was not marked by the concealment, why he did not appeal the accusation to Mullen and Barbaccia if he agreed on that. In the judicial sphere, despite of his devotion to the AMIA case, Nisman was regarded with some degree of reserve by most of his colleagues due to his close relationship with the intelligence services. After the prosecutor´s death, Mullen published a text in the obituary section of La Nación newspaper. * NISMAN, Alberto, Z.L – Nich, I pray for you. My sincere condolences for Sandra, Iara, Kala, Sara y Mario. Eamon Mullen. Some acquaintances of Nisman understand this obituary as a last message of reconciliation. Most of the 24 judicial sources asked by Anfibia take for a fact the close relationship between the prosecutor and the Secretariat of Intelligence. That was the deal from the beginning, when in 2004, President Néstor Kirchner fueled the investigation by putting the Secretariat of Intelligence at the service of the brand new UFI-AMIA, using the spy that after a while would become the enemy of Kirchnerism, Antonio “Jaime” Stiuso. Strictly off the record as always, the sources admit that the Nisman case uncovers an admitted, normalized and historical zone of coexistence: the intelligence services and the Federal Justice. This fact is admitted and described by eleven people bearing high positions at the Federal Justice, four who worked at the Attorney´s Office with Nisman, three plaintiffs, six former important civil servants belonging to Justice or Security. In that sense, twenty of them –almost all– agree: it is a “carnal relation”. The only ones who neither deny nor confirm the fact, prefer not to talk about the subject, when asked. Nisman´s ex co-worker and two federal judges dare to say (always protected by the off the record) that Nisman was “an intelligence agent”. When asked to accurately explain what service he reported to, two of them affirm he reported to the American Agency, the CIA. Meanwhile, the third source considers Nisman was an agent of the Mossad, the secret service of Israel. It is difficult to assess the statements of these qualified sources. In the interviews about intelligence services, when trying to deepen on this type of hypothesis, the limit is the keyword: secrecy. —If you do it right, you become the representative or the president of the World Jewish Congress. If you fail, they send you a gun. Alberto was not only a prosecutor— says a former official of Security linked to Nisman for the AMIA case. It is easy to prove that Nisman was a potential candidate for General Attorney. —I always thought he belonged to the CIA: once we share a course sponsored by that secret service. Nisman was there and also (María Romilda) Servini de Cubría attended that course. Then, he reflects on the location where Nisman was buried at the Jewish Cemetery in La Tablada. —They buried him in front of the monument to Commemorate Those Fallen for the Defense of Israel, even though he was not a religious and practicant person. Sources from the cemetery confirmed that Nisman was buried next to the “Monument to Commemorate Those Fallen for the Defense of Israel”, much closer than the block where some victims from the AMIA attack are buried. —If we divide the world into thinking people and action people, Nisman belong to the latter group. He enjoyed the secret activity more than being a prosecutor. The former Executive Director of the DAIA (Spanish acronym for Argentine Jewish Community) Jorge Elbaum, affirms that Nisman committed suicide, and accuse the prosecutor of having making up the investigation according to the directions given by the CIA and the Mossad. —His van was rented by a company ran by the CIA. These data is confirmed, also in off, by both a Federal Attorney and a Judge. Elbaum says that since 2009 he tried to “operate” him and Sergio Burstein: Iran had to be guilty. —They used him up to the last minute; he was promised a big reward and all of the sudden he found himself empty-handed. When police and politics are mixed up, cases become a question of faith: reality is set in the limit of the subjectivity; within the mass media mud, maybe the best orchestrated operation is the one to succeed. In the Nisman´s Case, the juridical plot is entangled with intimate betrayals and corporative loyalties. 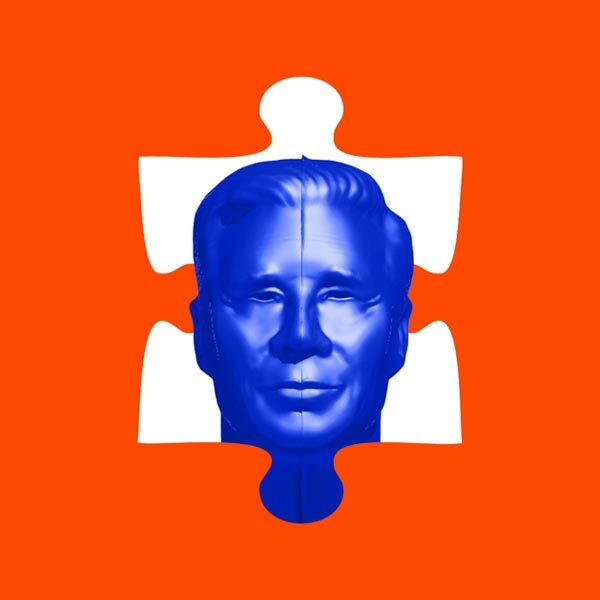 The puzzle of Nisman´s death puts together the international terrorism and the CIA´s omnipresence, the government, the opposing parties pointing the finger at President Cristina Fernandez de Kirchner, the different readings of Nisman´s work, his obsession and personal vanity. Historical conflicts become strident: the autonomy of some sections of the Secretariat of Intelligence (SI); the relationship between Justice and those services. 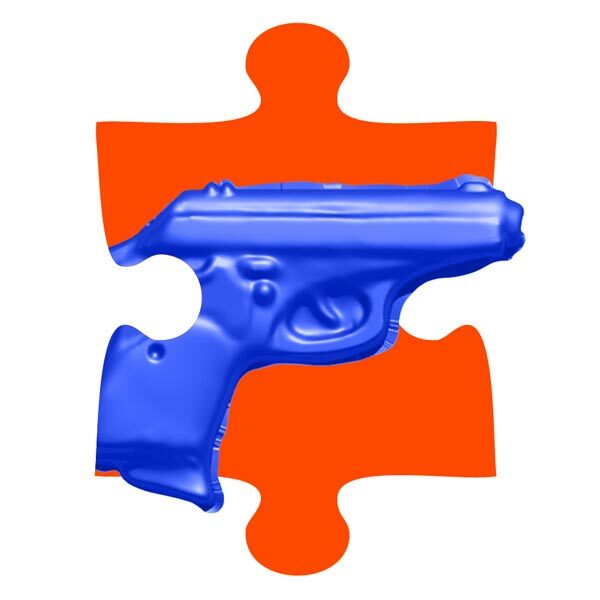 Depending on the evidence, the importance of each piece will be highlighted or diminished. Notwithstanding what attorney Fein discovers about the facts that took place on that Sunday, January 18th in the bathroom of the flat at Le Parc Towers, the “blurred zone” walked through by the jurists and the Intelligence services has been exposed. The relationship between a judicial officer and the secret services cannot be built from one day to the next. It is based on a personal rapport including pleasant gatherings and leisure time activities. Friendship usually tints professional relationships. A Federal Attorney says that an offering to take part in an operation arises from whatever conversation, maybe when having a drink with his/her spy friend. The other let the proposal out. —If you do not stop them at once your are delivering an ambiguous message and proposals will keep on coming. I was said: “If we let you know certain information that could lead you to investigate the President, what would you do?” I answered that I was not interested. “I won´t become your partner to unbalance a democratic Government”. At the age of 24, Nisman used his hair with a straight parting to the side and a Clarke Gable-style little moustache, which gave him some police look. He was born to Sara Garfunkel, owner of a pharmacy and to Isaac Nisman, a textile entrepreneur. His economical situation placed him one or two steps ahead of the lawyers of his age who worked at the Provincial Court Nº 7 of Morón, in charge of Judge Alfredo Ruiz Paz. The secretary was Santiago Bianco Bermúdez, at present the legal representative of Antonio Stiuso. Due to the type of construction of this Court, partially tin roofed, and to his junior role, Nisman would have been excused to wear a formal suit. Despite the fact that he used to travel from Once Station to Morón Station squeezed in a train, he always wore a coat and tie. He was slim and enjoyed playing tennis. He was not a religious, practicant jewish, but his last name pointed him out in a catholic world. His colleagues at that time, both those who like him and who do not, say that even then, he was vain and bolt. “Look, I’ve got a VIP ticket for the Cielo Discotheque”, he showed to an ex-colleague. “Where did you get it from, Ruso?”, he asked. He also wanted to enter the exclusive zone of the disco. 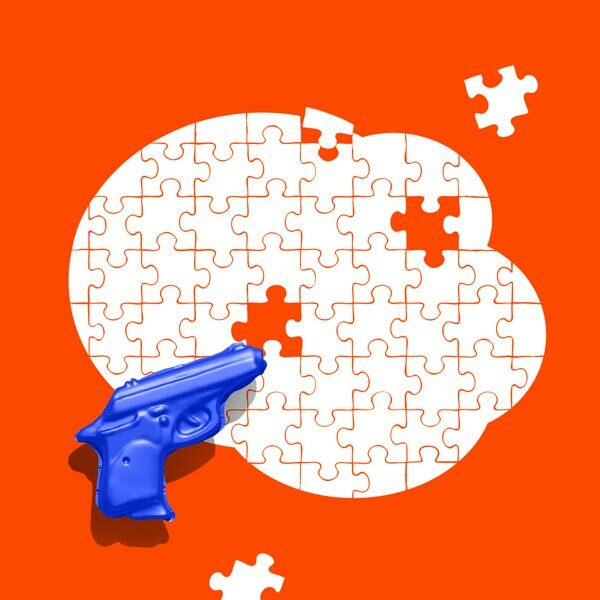 “I got it bluffing with the help of a police friend”, he boasted. A former colleague, who shared with him his travels to work in Morón, describes him as ruthless. Soon enough, Nissan jumped from that provincial court to the Federal Court of Morón. —Then, he stopped greeting us. At Itamae in Puerto Madero, Nisman always ordered the same: salmon sashimi, red tuna sashimi, a New York salmon-avocado roll and a tailless shrimp niguiri. That plus a ½ liter bottle of water and a set of sticks with an elastic band. He used to sit alone in one of the most isolated booths. He preferred the ones looking to the river. Every Sunday at noon he performed that ritual in the company of his two daughters, 15-year-old Iara and 7-year-old Kala. The girls keep the selfies of the three taken at the place. Since ten years ago, contrary to the other federal attorneys who handle hundreds of cases, the only job for Nisman was to investigate the attack against the AMIA, occurred in 1994. On Friday, January 16th at noon, less than 48 hours before his death, he arrived at the restaurant located four blocks away from his apartment in Le Parc Towers and asked for his usual menu. Even though he used to pass unnoticed in the place, that Friday he had already become a kind of politics’ celebrity after having accused President Cristina Fernandez de Kirchner of covering up details of the attack to the AMIA. Two meters away from his booth, a man proudly said to the waitress: “That is Attorney Nisman, the one that accused Cristina”. The following day, at 2 p.m., 20 hours before his death, he sent Federal Police Officer Rubén Benítez, in street clothes and a peculiar wide moustache, to Itamae with his order of sushi detailed on a piece of paper. Out of the ten police officers in charge of his custody, this was the most senior one and, above all, the one he felt more confident with. —Save the spice, I do not like it. Ten minutes later the non-commissioned officer Benítez was back at the restaurant. —Give me wasabi, please— he asked the waitress. On the Sunday he died, the officers in charge of his custody were Armando Niz and Luis Miño. In the previous day, Niz had asked Nismam the day off because he had scheduled a kidney surgery for the following Tuesday, but maybe out of scare, Nismam denied such request. Niz and Miño arrived at Le Parc at 11 a.m., as agreed with the prosecutor. 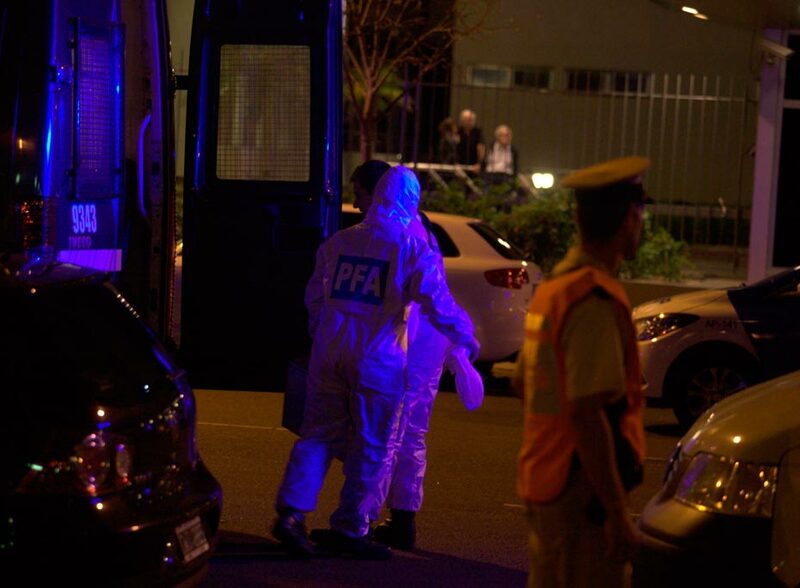 Since that moment, according to the statement given to attorney Fein, the two policemen waited, rang the bell, called Nisman’s secretary and then his mother, Sara Garfunkel. After 10.30 p.m, they got into the apartment with the help of a locksmith. 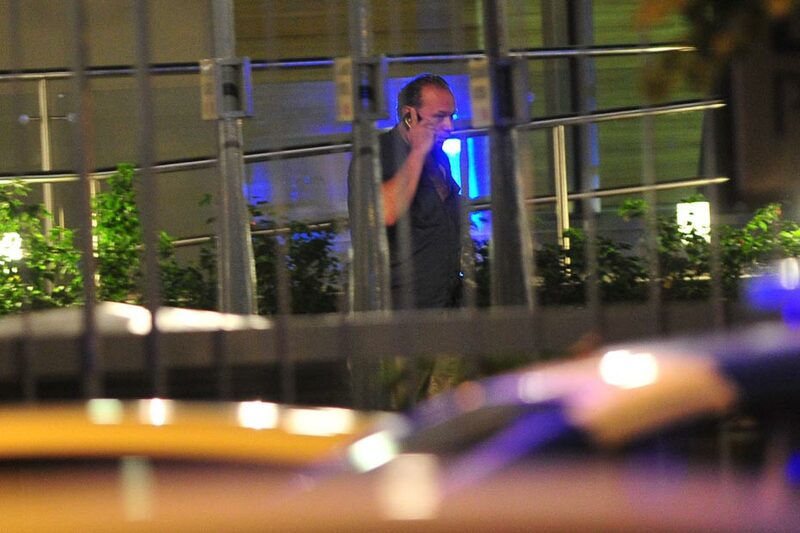 Niz was the first to find his body: Nisman still had Lagomarsino´s gun in his right hand. One week later the Chief of the Federal Police dismissed Miño and Niz: it is unexplainable that they took almost twelve hours to verify if the man being protected by ten police officers was in danger. And even more, the fact that they never informed a senior officer of what was taking place. In the case file, there is a half-hour gap that remains blank, informed Infojus Noticias agency. The mystery revolves around what happened in two key moments: since Nisman´s mother and Niz found the body and he was proven dead and since the 911 call –done by Swiss Medical– and the arrival of the first police officer. Police officers never informed their superiors that the prosecutor had been found lying on a pool of blood, with a gun in his hand and inside his apartment´s bathroom. On January 23rd, 1989 the Movement Todos por la Patria (MTP) took by storm the Mechanized Infantry Regiment N° 3 of La Tablada. The operation led by Enrique Gorriarán Merlo rendered 39 deaths (civilians and military personnel) and four militants missed. Judge Larrambebere arrived at the Regiment shortly after President Raúl Alfonsín, at about 10 a.m. on Tuesday, January 24th. At the Logistics Office, at the back of the Tablada´s military headquarters, he did a rapid recognition of the prisoners. They were half-naked, tied and face down on the floor. The following day they constituted the tribunal at the headquarters to get statements from the military personnel. Nisman, at that time of 26 years of age, was on vacation in Florianopolis. He had traveled with a friend from his teenage years, who years later provided him with a generous contract in the UFI-AMIA. When he saw on TV the assault to La Tablada he interrupted his vacation. Larrambebere needed an additional secretary for the preliminary investigation of the attack: the position would be occupied by Nisman. 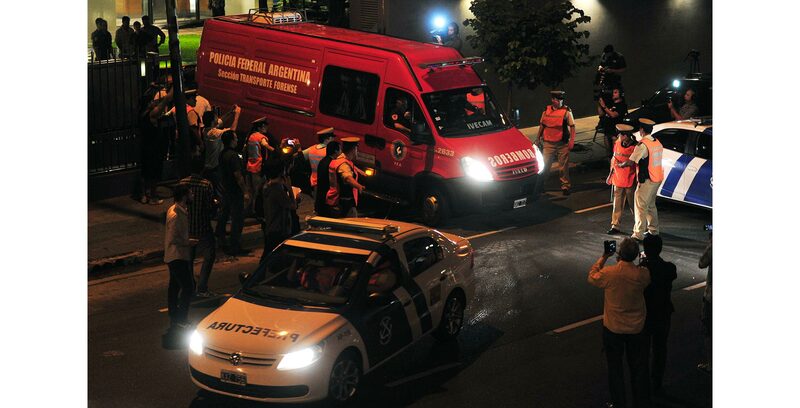 Larrambebere, Nisman’s boss, investigated the assault and the complaint for illegal constraints submitted by MTP members detained outside the headquarters, and the alleged disappearance of Iván Ruíz and José Díaz. The judge said that there were no elements to accuse anybody for tortures and illegal treatment. In the case of Ruiz and Diaz’s disappearance, the judge assigned Nisman to investigate the men from the Army that had them in custody. 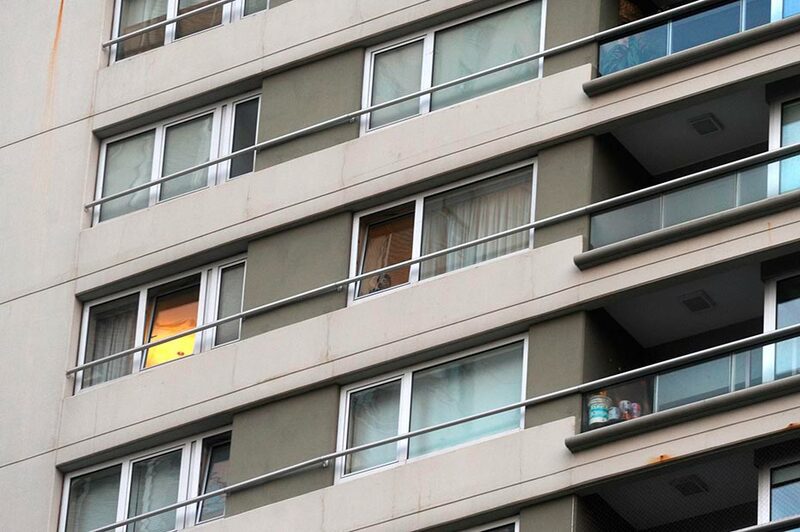 According to the military personnel, Ruíz and Díaz managed to leave the Prevention Guard jumping through a window when the roof was collapsing due to the fire. Nisman supported the unbelievable official story: both guerrilla members were able to escape unarmed and wounded, after fighting for eight hours, in the headquarters surrounded by the police and military personnel. Three years ago, Pablo Waisberg and Felipe Celesiap interviewed Nisman, who was the head of the UFI-AMIA, as part of their research for the book La Tablada. A vencer o morir. La última batalla de la guerrilla argentina they were writing. After appearing before two prefects at the reception, and other three at the elevator, they met Nisman. He was talkative and kind, and he seemed to be more interested in hearing them than in giving his viewpoint about La Tablada. He was accustomed to dealing with the press. He received the journalists at the meeting room of the attorney´s office —a long table, wooden chairs and an Argentine flag in one corner— at 460 Yrigoyen St, just diagonally to la Casa Rosada (Government house). —Did you understand or feel that the military personnel were lying? —Not quite at that moment, but after that we realized they were lying. Those guys were taken out of the headquarters alive. Some people thought that evidently they had been taken out and killed and some people did not believe that at all. Some said that in the heat of the combat, comparing other statements previously provided by military personnel, it was possible that they were killed during the combat. I cannot say it was 50-50, but legally we reached that conclusion. The doubt was based on conviction and not on file evidence. The Tablada case was a turning point in his career. Nisman strengthened his judicial profile: he became a secretary and then Attorney General before the Oral Federal Criminal Court of San Martín. He remained there for almost three years, before being appointed Mullen and Barbaccia’s assistant, that was the next big step in his career. Once an attorney in San Martín, he had to deal with a female judge proud of her progressive lineage: Lucila Larrandart. He was patient and they had no confrontations and a professional and kind relation. But the style used to decorate Nisman’s office spoke for itself: a map of Malvinas under the glass covering the coffee table; Federal Police plates, a plate of the Gendarmerie and a cap of the DEA hanging in one corner. Since he distanced from Mullen and Barbaccia, he became a pariah within the judicial family and when in 2004, at Kirchner´s request, he was in charge of an attorney´s office exclusively devoted to AMIA case —with Marcelo Martínez Burgos— his condition of “stranger” was boosted. He moved from the 9th floor of Comodoro Py to a floor in front of Plaza de Mayo, in that way he reduced his contact with other attorneys and federal judges. One of the few attorneys who liked Nisman and who highlights his “brave accusation” against the political power, says that “for ten years, one gets infected by an investigation. His mistake was avoiding working with someone else that could have provided a different perspective or a second look”. Nisman tried to have that kind of right hand he lacked. In 2005, he called the present attorney general of the Federal Chamber of Cassation, Javier De Luca, and offered him a position to work with him in the AMIA case. —Sorry Ruso, but I do not want to focus myself in only one case— he answered. Each Thursday afternoon, Nisman starts warming up on the treadmill of the basement gym. His coach recommended him to use the time well. —What was the point for him to have me there looking while he was walking? Meticulous, he once arrived three minutes late and apologized many times. Daniel Tangona suggested him to stop running and using weight to do squats. To relieve his back pain, his couch changed that routine for functional gym. After two weeks, the attorney wrote a letter thanking him: the pain was gone. 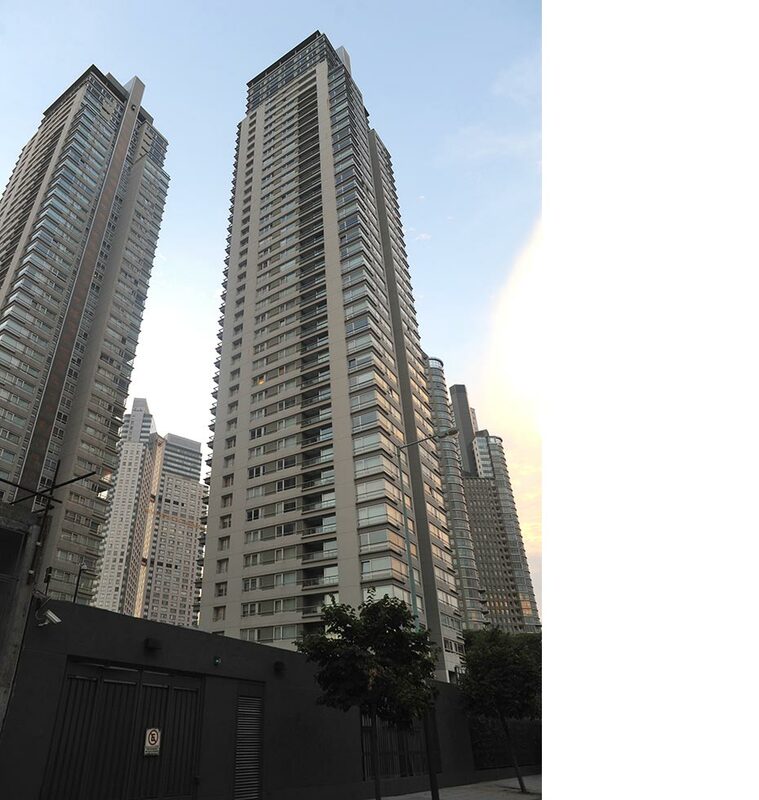 If the weather is warm, Nisman goes to the pool in Le Parc Towers. Shirtless, in blue trunks, using contact lenses that highlight his blue eyes, he lies back on a beach chair and reads; always with his Nextel and two cell phones at his side. He was all alone. The UFI-AMIA is a kind of VIP attorney´s office: the budget for 2015 exceeds the 31 million pesos. It had 45 employees, ten of which were hired and were not permanent staff. Employees under contract with salaries higher than the average ones paid at the Office of the National Attorney General, they managed their day-to-day with total flexibility. Nisman himself, earned 100 thousand pesos cash, almost 40 thousand more than the average salary paid to his peers. Hired employees had no obligation to attend the attorney’s office and reported directly to Nisman. Out of that group of ten employees, the most famous one is Diego Lagomarsino; he is 35 years old, an informatics technician who works for Nisman since 2007. Lagomarsino invoiced 41,280 pesos per month and was the one that on Saturday 17th at 8.30 p.m. lent Nisman the Bersa 22 pistol. Claudio Rabinovitch follows him in the salary ranking, with 32,400 pesos. Lawyer and journalist, his task was to prepare press summaries and advice on communications. The personal relationship he achieved with a group of journalists specialized in the AMIA case was not enough for Nisman, neither was the relationship with independent consultants. To improve the media profile he always wanted for his work, in 2009 he had hired a sparkling press and communication agency. Its owner is an efficient and well known PR, famous for organizing cocktails where the world of art and culture mixes up with the world of politics and economics. Apart from AMIA Special Unit, some of her clients are Papel Prensa, Clarín Group, La Nación newspaper, Revista 23 and brands like Cartier, Baume Mercier and Estée Lauder Companies. Lagomarsino as well as Rabinovitch were dismissed by the Attorney General Gils Garbó on Monday, February 9th. The remaining employees are eight women. It is not clear yet what was their role at the UFI-AMIA. None of them is older than 35 years: Marina Pettis (licensed dietitian, earns 28,780 pesos), Felicitas Mas Feijoo (20.525 pesos), María Victoria Buigo (17,700 pesos), Magalí Dietrich (16,225 pesos). The attorney’s office spent in those salaries 2,541,660 pesos per year. In 2013, at the huge session room of the United Nations, Sergio Burstein, a victim’s ex husband was sitting by his daughter in a gallery. He was waiting for Cristina Kirchner´s speech on the memorandum with Iran. His Nextel rang every 15 minutes. It was always Alberto Nisman. —Tell me what she is going to say. He had acted alike in 2012 and 2011. —Alberto, don’t bust my balls, I already told you, I don’t have the slightest idea. Do you think they give me the speeches in advance? —Cut it out, dad! Please, we are here. Stop arguing— his daughter asked him, sitting at his side. The appealing tactics used by the SI (Secretariat of Intelligence) and discussed with the judicial power’s staff are various and depend on the attorney, the magistrate or the services’ needs. The most intense tactics may involve an invitation to a pub or to a private party. Then, at a certain point a drug offering. The following day, the guest receives the compromising pictures, and maybe a threat or a request. And that person “cannot be in peace any more”. Judge Norberto Oyarbide accused SIDE agents of extortion in the case in which he got involved in 1998. It has not always worked like that. Many of them go to peaceful social gatherings: barbeque at the curia where ex classmates from catholic schools, who now work in different fields, gather together. Dinner parties at police circles. Cocktails at embassies. Several Federal Attorneys affirm that everything depends on the ambition of the targeted person: for some of them, trips to congresses are just enough, for others money in cash. There are also those that are out of the arrangement and live on their salary, their car and their chauffeur. They do not get involved. Three sources say that “there are many ‘services’ that do not work as ‘services’. They work as legislators, attorneys, civil servants or journalists”. The network strategy includes actors that “are part of the services without knowing”. They operate as a specific link of a general plan. They deliver envelopes, talk to people to influence them but they are not aware of the ultimate objective. “They lend guns innocently” states a judicial officer, who knew Nisman. It is possible that a federal judge, who follows many cases, is only requested to influence just in two of them, he reflects. He will be absolutely free to handle the rest of his cases. Nisman was alone and depending on Antonio Stiuso’s investigations. That was the limit of his freedom. Until a few days ago, Stiuso was a secret agent: even the director of Operations of the SI. Stiuso is called Jaime or Engineer and investigates the AMIA case since 1994, even though his participation varied along the time. Now, his name is said as much as Nisman’s. Up to 2004, before Gustavo Beliz showed Stiuso’s face on TV —that case for the violation of a state secret has not been closed yet— a few judicial journalists already knew that face. The fact he had a relationship with Nisman was something logic: in cases of international terrorism, the intelligence services are in charge of the investigation. Stiuso was dismissed from the Secretariat of Intelligence on December 18th, 2014. On January 17th before dying, Nisman called him up many times. José María Ugarte, expert in Latin America and professor at the UBA (University of Buenos Aires), is not surprised about Nisman’s case, which brings about old internal battles among different sectors of the SI. The Secretariat´s political leadership is not real, he says. Those who direct this secretariat just transmit the needs of the political power of the moment. “Downwards, Stiuso did represent a more effective leadership even though inside there is always the opportunity to do minor political operations”. Ugarte was a member of the team that wrote the Intelligence Act, passed 18 days before December 2001 social outburst when the SIDE became the SI. A legislator, expert in this topic, says that during Menem’s times, the SIDE was corrupt but its political conduction with Carlos Vladimiro Corach and Hugo Anzorreguy as the head of it was transparent. Kirchner´s political party did not have any political participation in its management; they left people of the previous government without a clear leader. The relationship between the services and the judicial power had become intense in the ‘90s and that created a series of habits. Reserved funds were increased: those were devoted to pay additional salaries to judges and civil servants. During the democratic period, agents learnt about the upheavals of the public expenditure devoted to their area. What could a chief do if all of a sudden a government decides to shorten the budget? What happens with the undercover agents investigating smuggling activities in the Triple Frontier when they get paid monthly and not per work? The recruitment for specific tasks is carried out in different social groups. Many times, cleaning personnel receive a plus to watch while working, says a former officer that took part helping dismantle inorganic groups. The solution is to use funds for other economic ventures: illegal ones, as those reported by Lorena Martins, but also some lawful funds so that, in the case of a crisis, the human resources structure could be maintained. In this blurred world nobody doubts that Stiuso or the dismissed bosses from the IS could have economic difficulties. —Nisman was also a restless guy. The deep-dark eyed and bearded lawyer says he has psoriasis spots on his leg, similar to those Nisman had on his head and to which he applied ointments. When he started working on the AMIA case, the lawyer was shaved, wore a suit and knew every detail of the case. Today, more relaxed, in a t-shirt and fur sport shoes, he repeats what he hears at Comodoro Py: “All the time, I saw him with Stiuso” who had convinced everybody “he was really going to investigate”. This man now distanced from Comodoro Py and the AMIA Unit disagreed with attorney Nisman: he was —and still is— convinced that the steps the IS made him take in his investigation were a “scenario made up by the SIDE, directed by the CIA and the Mossad. Nisman was the executor”. —Stiuso will send you to ring the bell wherever he wants. The former judicial officer´s testimony is believable not because of his conviction about the relationship between the attorney and the spy, but because at the same time that he criticizes Stiuso for his coercion to the justice, he describes him with male compliments as a “cool” guy, “very clever and simple”; “super charismatic” . “He never wears a tie, he goes in sport shoes and even though he handles so much money, he lives as a humble man. And when he thinks, he is eight steps forward”, he praises him. —Do you think that an Intelligence guy can be a good person? It can’t be. But he is brilliant. He gains your respect. The local connection with the Mossad and the CIA in the AMIA case is, of course, previous to Nisman’s work at the attorney’s office and sometimes exceeds the standards allowed for cooperation. The lawyer and plaintiffs remember that a secretary from an Israeli attorney’s office got the authorization to travel and interview Telleldín in the penitentiary. Everything was done without records of the conversations as indicated by the law, without a judge or an attorney present, as stated in the court´s ruling. Apparently, the man did not work for any Israeli attorney´s office. —He was from the Mossad. Nisman lived in paranoid. He reported every threat he received, as incredible as it sounded. Due to that stress, he had changed his psychoanalysis sections for a more pragmatic therapy. The Art of Living. His respiration coach was the coordinator for Latin America, Beatriz Goyoaga. Following the advice of a Federal Judge, he also visited an acupuncturist at Santa Fe Street. The first time he saw him he knew his face: the man in a suit must be his age. He was an ex combatant of the assault to La Tablada. He had no hard feelings towards him. Nisman reported alleged threats for the first time in the mid of 2010. These were against the federal judge Claudio Bonadío, the former Minister of the Interior Carlos Corach, his son Maximiliano and the ex police commissioner Alberto “Fino” Palacios. He had received by mail a document detailing alleged meetings among Corach, Palacios, Bonadío aiming at his dismissal from the AMIA case. On July 12th, 2010 he appeared at an attorney’s office and pointed out the four of them. “I was never subpoenaed, nor did I hear of know anything about it”, affirms an amazed Corach junior currently, the president of the community board of Palermo under the power of Macri´s political party. 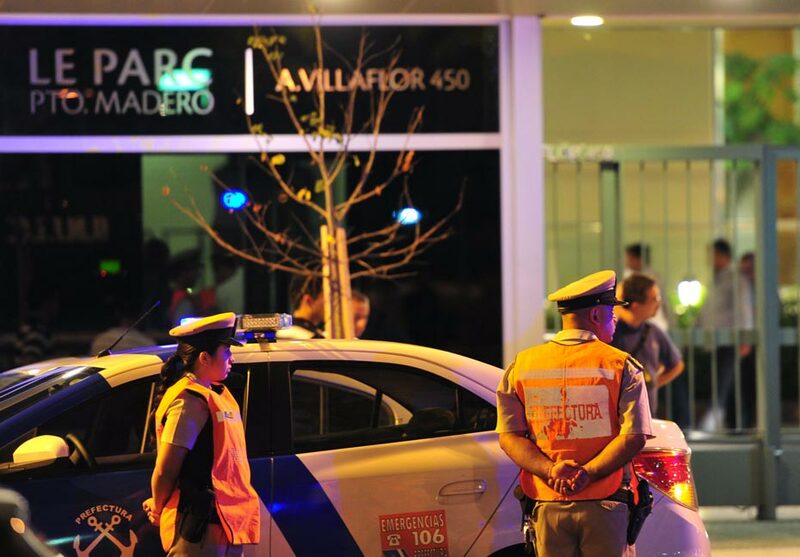 Active at Twitter, the manager of the staff of Horacio Rodríguez Larreta, he swears he does not know the plot that links him with the threats. Nisman later explained in Public Prosecutor’s Office N 10, chaired by Diego Iglesias, that “some people from Quebracho Group would like to see such threats come true”. Because of his violent history and his links with Iran, that group was fear for Nisman. On January 17, 2015, while he revised folders and marked papers, when talking about his report in front of the Congress he chatted a Journalist: “I hope the Government will not let Quebracho in”. The 2010 Case resulted in nothing. “The telephone of a Quebracho leader was tapped, and his family’s phone too, but we got nothing”, was said at the office. Up to his death, Nisman was paying attention to this investigation, feeling he was going to be attacked. Some months later, Nisman reported Agustin Zbar, a Jewish leader who was the candidate for the DAIA elections. In August 2010 he assessed that Zbar, former civil servant in Jorge Telerman’s government, had theratened him. This report had weight in the DAIA elections, and Zbar had to decline his candidature. “So as to avoid a bad moment his ego could not have standed, Zbar withdrew and found the perfect excuse”, Nisman told a Jewish news Agency. Judge Lijo, who also handles the cause for covering AMIA attack, dismissed Zbar last year: the so said threats were “inextricable”. “Rusito stop molesting the Mosad”, “Rusito we have marked you”, were the threats Nisman said he had received in August 2012, and in November and March 2013. Nisman reported again. And his report was considered to be part of the one the Ministry for Security was posing, about a number of “hackers” that affected Ministers and Deputies known as “Leakymails”, a kind of National “Wikileaks” that seemed to be actions from some area of the Intelligence Services. During Nisman and Judge Arroyo Salgado’s divorce, his ex wife investigated an important spies network, with many things in common with Nisman’s reports. In 2012, she accused the former SIDE boss during Menem’s government, Juan Bautista “Tata” Yofre, retired general Daniel Reimundes and the Seprin boss, for illegally read former civil servant’s mails. She accused journalists Carlos Pagni and Roberto García for covering up. A “combo” among SIDE representatives, army and the media. The judge must now consider the oral trial instance requested by the prosecutor in this Case. Except for the Zbar crusade, every time Nisman reported “Stiuso revealed almost identical threats against him. Jidges, even though the agent pleeded against, set them as different cases. The last threat Stiuso received included the photograph of his eldest daughter’s house and the work done by a Mexican hired assassin, “as a way to show what they could do”, a secretary explained in the fourth floor at Comodoro Py, after seeing the macro investigation with hackers and hearings. After this report, Stiuso’s daughters hav a custody, even the one working at federal courts in Comodoro Py. In February 2013, Nisman reported again in Jodge 8. After a few weeks, Stiuso reported also, together with some other Intelligence agents. The mails that the prosecutor and the ex SIDE agent had received were almost identical, only changing the addressee’s name; Nisman or Stiuso. After having lunch in La Recova in the Cabildo yard, where he used to meet a complainant lawyer, Nisman walked along fifty metres and went back to his office. With his lunch he never drank wine; only Diet Coke. Behind his secretaries, Nisman’s glass and white wooden door was always closed. Before his meetings he used to talk about his daughter Iara, who travelled with him to Amsterdam, Paris and madrid in January for her fifteenth birthday. Except when he was working with prosecutor Martinez Burgos, he received the relatives of the AMIA victims alone: his impeccable desk, no papers, folders in a row. —Tell me about your improvements! Can’t you see you are doing nothing?—a white haired woman tells him. Two relatives and the complainant lawyer Sergio Burstein, standing by her, agree. Nisman gets up in silence, unaltered by the moods and shouts of the woman. —Of course I have some news—he answers, opens the door and shouts,—. Martín, bring me the folder I gave you yesterday please! Every time something like this takes place, Nisman is unaltered. He calls his collaborators to show some information, argues once and again and gives the relatives hopes for new threads. The ones who were present in those meetings agree: “he was not doing evil”. “So you don’t know Jaime?”, Nisman was surprised talking with journalist Santiago O’Donnell in 2011. He wanted to talk about the news of the American embassy that the journalist had published in his book Argenleaks. Contrary to his meeting with Waisberg and Celesia, he invited O’Donnell to his Plaza de Mayo office. O’Donnell’s WikiLeaks prove that the American thread of investigation through the Buenos Aires Embassy way alike Nisman’s: pointing at Iran. Some of the cables show him in a total submissive attitude to the American will. “The officers at our Legal Office have recommended Prosecutor Nisman to concentrate in those who have carried out the attack and not in the ones who deviated the investigation”, tells a cable from May 22, 2008. Another cable states: “Nisman asked for forgiveness once again and was ready to sit with the Ambassador to discuss the next steps”. In his talk with O’Donnell, Nisman did not deny this information: he was kind and promised to tell him about the next stages of the Case exclusively. He was clearly surprised when the journalist said he did not know Stiuso. — I disagreed with Stiuso in many aspects. He came up with reports that seemed to be true and I said: OK. What about the evidence?”. And Stiuso used to answer: I have an infiltrated informant in a certain place”. These people could not declare and that is why much of the evidence could not appear in trial. But that does not mean there is an operation. The TN make up took him out of his mental limbo of papers, hearings, dates and details on his denounce against the government. Once Nisman was in the studio, she had to rush: “Without intimacy, I could only apply some powder, as his face was so brilliant”. His last TV interview was similar. “He thankes me and I went away, nothing strange. I saw him a bit anxious when he was shooted while oher people were being interviewed”, said the makeup artist that had not known him up to that night. Out of the camera, the enfant terrible, Jorge Lanata’s disciple, was waiting for him: Nicolás Wiñazki. “come to the program at 11, if you can”, he had whatsapped him that afternoon. He communicated like that with many jpurnalists: one from Infobae, one from La Nación, one from Clarín and one from Página/12. “He was really sure of his report. He said Luis D’Elía was pretty involved, but he was careful no to mention the intelligence agents that appeared in in the presentation”, Wiñazki says. Clarín ‘s journalist thinks that Nisman suspected that the Government—through barrister Alejandra GilsCarbó— was going to make him leave his position as prosecutor. This is trying to explain the Prosecutor’s early come back from his holidays in Europe and his presentation of a 300 pages folder during Judicial Recess. This hypothesis was denied, and Nisman could have accused the Government out of the UFI-AMIA. He could even have exploited his victimization as the expelled prosecutor. After Edgardo Alfano’s long interview in TN, Nisman went to the control panel to check the result. He did not care about what was said, as he was fully convinced about that: he just wanted to check his HD image. That afternoon, during a photograph session for La Nacion newspaper he had showed the same interest. In the lobby at first, and in the inner garden afterwards, he had asked the photographer:” Tell me, do I look tired? I have lots of work and I have to appear on TN this evening. Please, take care of me”. Nisman had sworn, but his white dryfit T shirt veils it. He asked his personal trainer to take him a photograph. Despite the heat of that day of December 2014, he felt a vital happy man. To end the class, Daniel Tangona proposed him to train boxing to liberate tensions. He liked it even more than the difficult bozu moment in which he had to balance on a gum turtle standing for some seconds on one foot without falling: a typical functional exercise. Before leaving, exhausted and euphoric, Nisman took his mobile phone — having it disconnected was an condition imposed by the trainer—. He turned it on, faced the mirror and hugged Tangona. He smiles in the photo. He does not look into the mirror, as the trainer does; he sees through the camera.